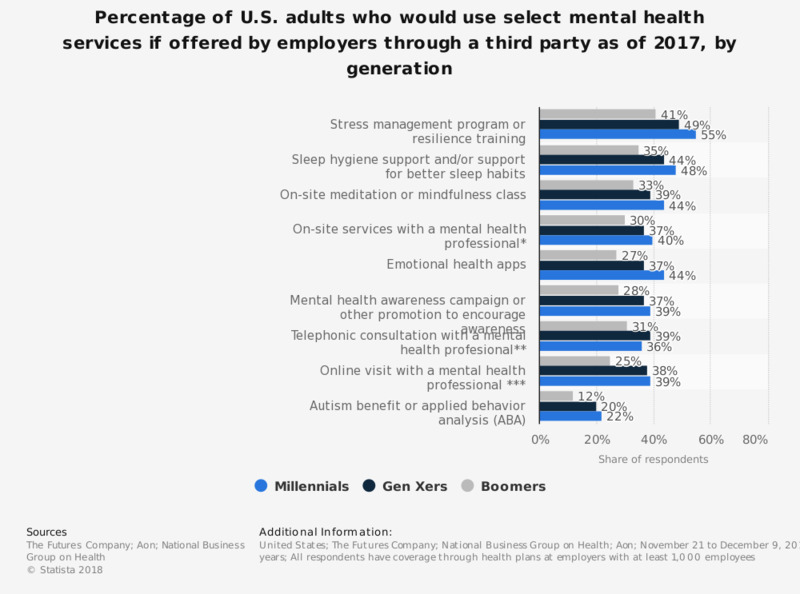 This survey shows the percentage of U.S. adults who would use select mental health services if offered by employers through a third party as of 2017, by generation. Almost 55 percent of millennial respondents said that a stress management program or resilience training would be a mental health service that they would likely use if offered by their employer through a third party. Figures represent percentages of all consumers citing “definitely would” or “probably would” on a 4-point scale. * e.g., on-site employee assistance program, on-site grief counselors. ** e.g., an employee assistance program.